Impact Farmers with blueberry bushes will be pleased to know that your blueberry bushes are doing well despite the intense heat wave. Since the start of December, the Metsi Estate Manager reports, “it has been incredibly hot and there has been only 150mm of rain. Fortunately there is a dam on the property and each blueberry bush is fed directly to its roots, significantly reducing the amount of water required through regular watering techniques”. Drip feed technology together with shade netting to protect each blueberry bush from the elements. All blueberry bushes have been pruned and have grown to around 20cm high. It is expected that your blueberry bush will flower in May with the start of the harvest season expected around July. The bushes produce berries from July until December each year. 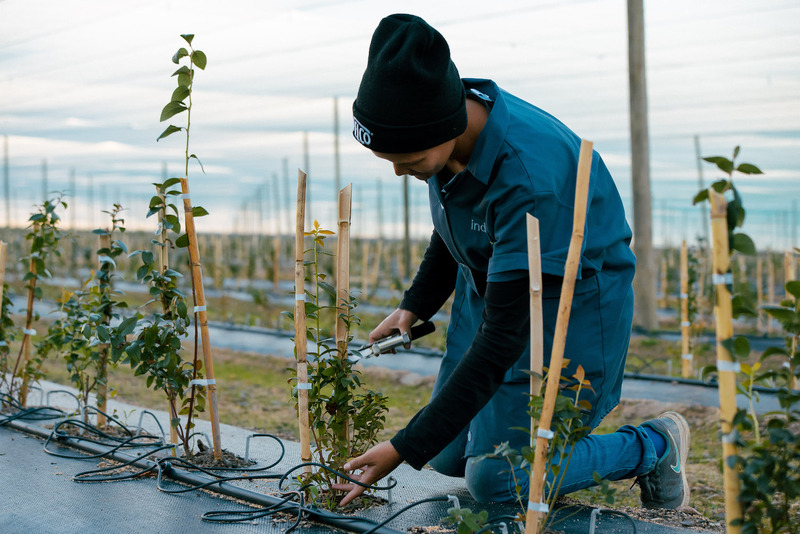 It is likely that, as each blueberry bush is entering its second harvest, around 1kg of berries per bush will grow. Timing of the harvest depends on rainfall. After the berries are picked, packed, shipped and sold wholesale, the income is distributed. As the season is around five months, two payment dates have been set – December (July, August, September) and then February (October, November and December). To date, nearly 7,000 Impact Farmers have bought assets. Join them by downloading the Fedgroup App today.